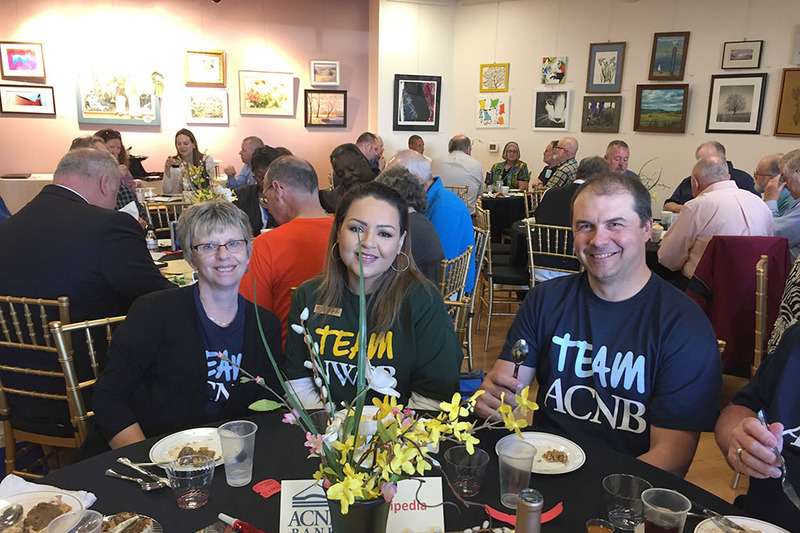 ACNB Bank sponsored and recruited a team for the 7th Annual Trivia Challenge, an event that benefits the Lincoln Intermediate Unit #12 Adams County Literacy Council, a nonprofit organization providing adult education in Adams County. This support also benefitted the Bank’s CRA Program. The 2019 event was held at the Adams County Arts Council in Gettysburg. 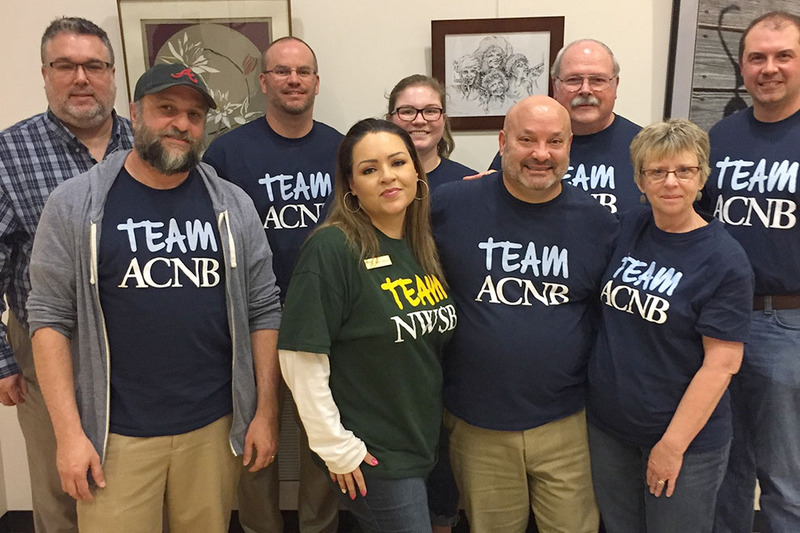 The “ACNB-pedia” team of ten staff members enjoyed an evening of trivia with eight teams competing to win a trophy. ACNB Bank took third place this year. The Bank’s participants included Adrian Assi, Mike Becker, Mark Bernier, Larry Coleman, Denise Descheemaeker, Andrea Foore, John Husser, Sylvia Mason, Chris Romeo and Greer Stambaugh. 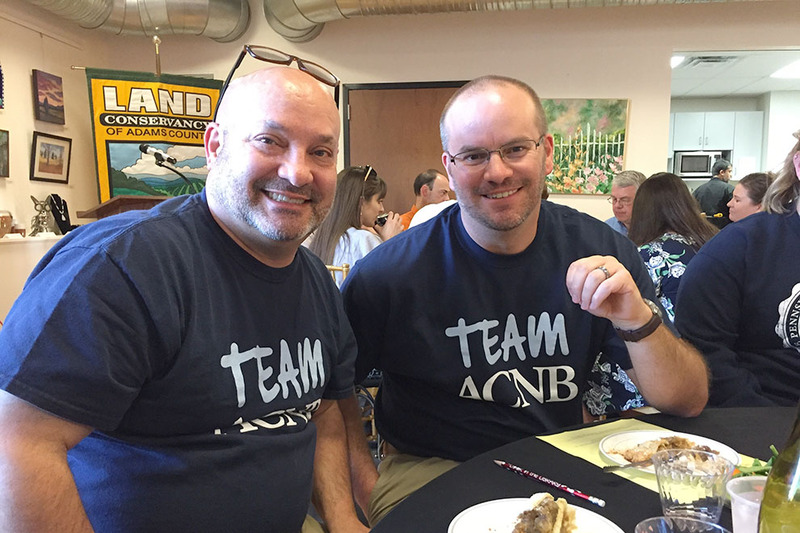 Top Photo (Left to Right): Mortgage Loan Underwriter Chris Romeo and Vice President/Commercial Loan Officer John Husser enjoy dinner and talk about the team’s strategy before the Trivia Challenge begins.